Traders watchful of US-China trade truce impact on crude and rupee and domestic election results. The pause in US-China trade war could act as a double-edged sword for the markets going into the last month of the calendar year, some analysts believe. The positive impact of the diffusing clouds of the trade war can unleash the bulls on the global markets, which may reflect on the D-Street. US President Donald Trump and Chinese Prime Minister Xi Jinping decided to pause the sanctions for 90 days after a meeting on the sidelines of the G20 summit on Saturday. However, a section of market watchers suggests that the clearing of uncertainty can release the pressure on international crude, which has dipped below $60 a barrel. Hardening oil could rock the Indian markets continued recovery, they say. A higher global crude price will inflate India's import bill and negatively affect the rupee's value against the dollar. This double whammy of higher crude price and rising dollar will definitely worry the markets. The rupee bounced back from the lows of 74.49 per dollar it hit in October to appreciate about 6.6 per cent to 69.58. The D-Street's return to the bull terrain through November when the indices gained 5 per cent including a 3 per cent gain in the last five sessions is attributable to the market's optimism. Oil remained under pressure from the trade war fears and the high level of US inventory despite the Iran sanctions. Both Sensex and Nifty posted new highs and they have found new supports. Sensex closed on Friday at 36,194 and Nifty on 10,876. Having reclaimed the support at 10,800, mainly on the steam coming from the mid-cap and small-cap spaces, Nifty is on way to breach 11,000, some technical experts say. The results of ongoing elections in five states will be out on December 11, adding more uncertainties that can further roil the market in the second week. The election process is on in Madhya Pradesh, Rajasthan, Telangana,, Chattisgarh and Mizoram. Political observers say the results in Madhya Pradesh and Rajasthan will be crucial for the confidence of the Narendra Modi government at the centre ahead of the 2019 election year. Any weakening of the Bharatiya Janata Party-led government can dent the market's confidence and result in a bearish turn. 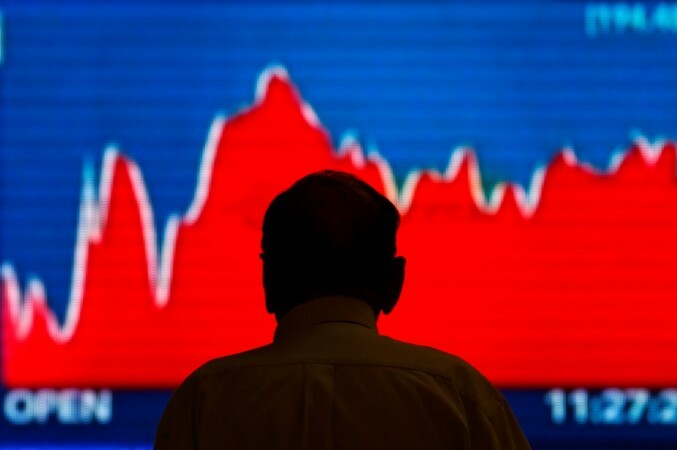 The markets saw huge sell-offs in October and September when the foreign institutional investors (FII) withdrew about Rs35,000 crore from the market, according to some estimates. Their return in November bringing back about Rs14,000 crore was decidedly the main reason for the bulls herding back into the markets. Some media reports say the traders expect a pause in the market in the first week while it consolidates the recent gains and awaits the domestic uncertainties to clear. The street expects the Reserve Bank of India to further relax the regulatory norms for non-banking financial companies at its December 5 meeting succumbing to the relentless government pressure. The anticipated return of liquidity to the economy could buoy the markets once they price in the second week's uncertainties. Money Control website suggests a close watch of the IT, banking, financials, and FMCG stocks. The market will be watchful of the Nikkei manufacturing and services PMI for November that will be out on December 3 and December 5, respectively.